Every day, I notice and wonder things about both the students thinking and the mathematics in my classroom. Over the past couple of weeks, however, there are a couple of things I have noticed that still have me wondering…. 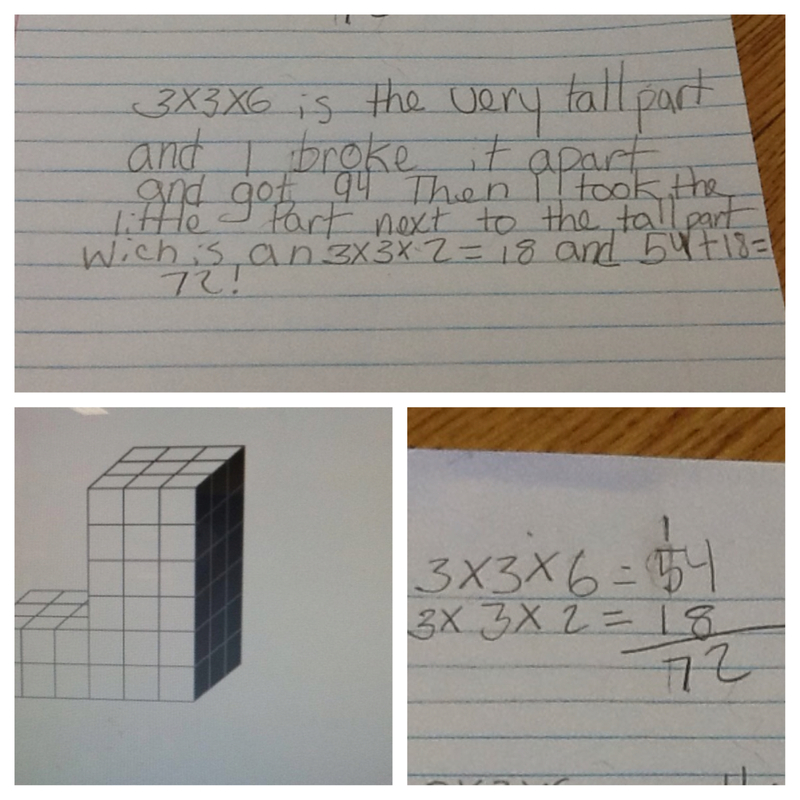 Even anticipating there would be some confusion, I was honestly blown away by the number of students struggling to break apart the picture and think about the lengths, widths, and heights they needed to reason about layers of cubes. 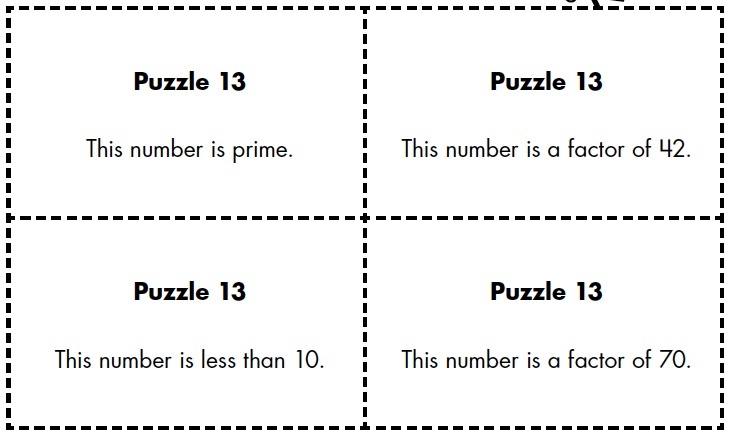 I found that some of the students felt the need to use every number in the picture in their solution while others were making no connection to their reasoning about arrays and layers. 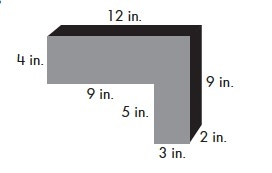 They could describe how they broke the shape apart into two pieces, however when I asked how many cubes were in the bottom layer of the prism to the right, they could not see the 3 x 2 as 6 cubes in that layer, and if they did (and had broken it horizontally) would do 9 layers instead of the 5. I was struggling with how to help them go back to their amazing work with cubes. Why was this visualization disappearing? In hopes of having them have a better visualization, I asked them to build the above picture in Minecraft. Done. Every single struggling student automatically laid down a 2 x 3 array, made 5 stacks of them before moving into four 12 x 2 arrays on top of that. What?!? This has me completely perplexed. How can they see it to build it without a second thought, but cannot communicate about it otherwise? More importantly, where do I go from here? They obviously cannot build every figure they need simply because when the numbers are larger, it is completely time consuming and I want them to connect their concrete building to a more abstract reasoning. I am thinking from here, I will have some continue to build until they don’t need it, pushing them to abstract with questions such as, “If you were to build this right now, describe it to me.” Pausing occasionally to ask how many cubes that would be. These two wonderings, although so obvious at times, have seemed so complex to me over the past weeks. I love every moment of looking into my students’ reasonings’ because it challenges me to be a better teacher and look deeper into my own understandings about how children learn. Great stuff. This entry was posted in 5th Grade, Notice/Wonder, Uncategorized on November 1, 2014 by mathmindsblog.